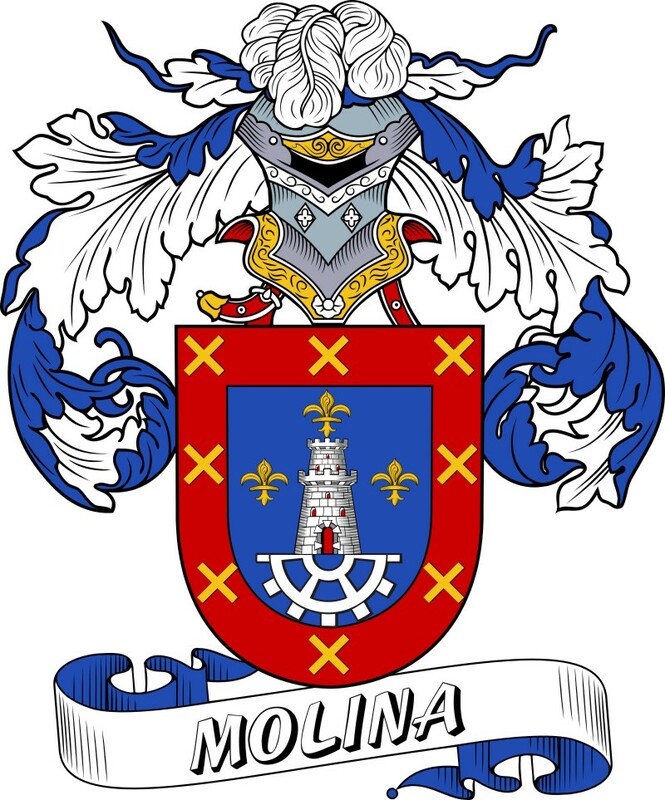 This Molina Coat of Arms / Family Crest comes from Spain. 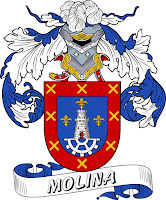 The surname Molina is a place name which means one who lived at the village mill or came from Molina (mill). Foreign Equivalents: Moulins (French) and Koerner (German). A large, high quality JPG of this Molina coat of arms is available at www.5dollarcoatsofarms.com.